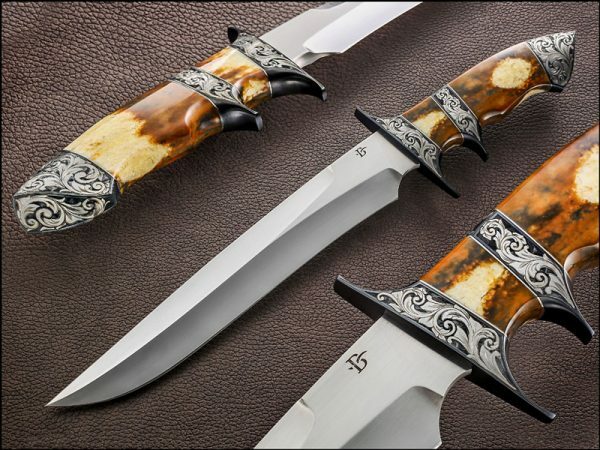 The perennial award-winning knives by David continue to impress not just the judges at major knife shows, but his collectors around the world are always eager to see what David is making next. 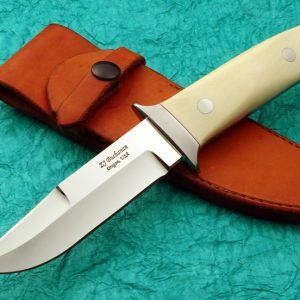 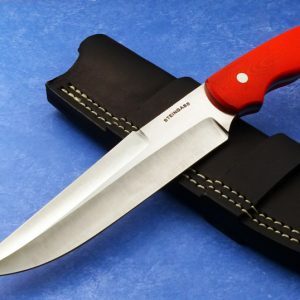 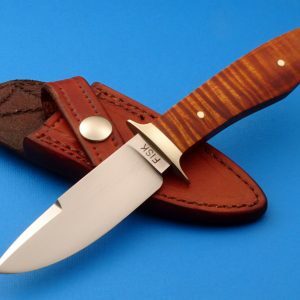 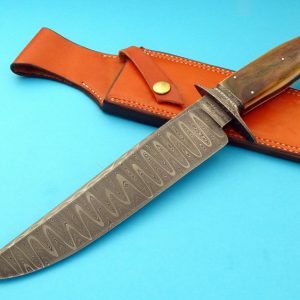 Most knife makers are skilled craftsmen. 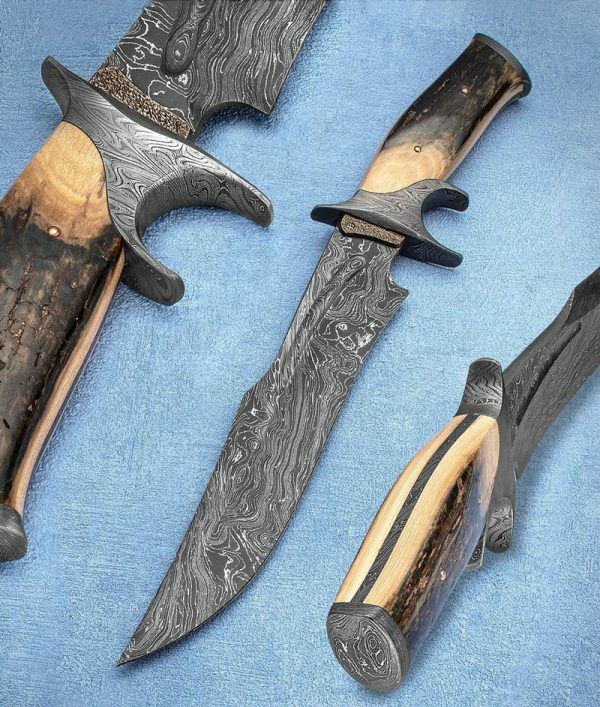 When it comes to custom knife maker, David Broadwell, his knives make him a true artist. 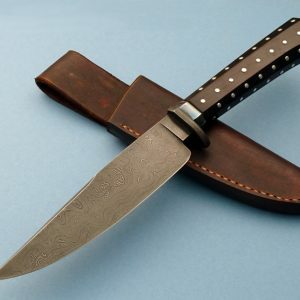 Broadwell Damascus Sub-Hilt Bowie Fossil Mammoth Ivory. 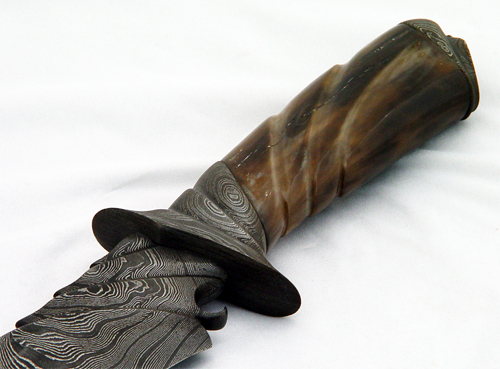 This knife has strong curves and flowing lines. The curved and tapered fuller was freehand ground into the blade.